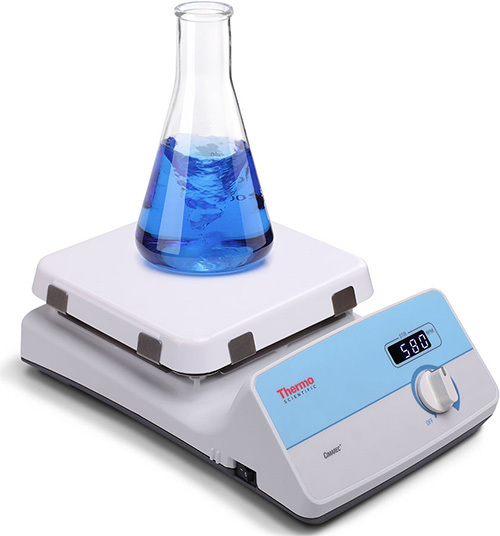 The Thermo Scientific™ Cimarec+ series digital stirrers, hotplates, and stirring hotplates are designed to provide precise stirring control, exceptional safety and temperature performance for your routine protocols. The Cimarec+ units are available in three sizes, providing flexibility from microscale chemistries to production operations. Part Number CIC0001449. Hastelloy PT1000 External probe, 0-400°C, Hastelloy, for all sizes of Cimarec+ and SuperNuova+ Hotplates and Hotplate Stirrers. Part Number CIC0001831. Clamp and clamp holder to attach to supporting rod, suitable for all Cimarec+ and SuperNuova+ models.